Fully sounded adventure about of the most popular mustachioed plumber! Your purpose is to collect some "stars" (in fact, it levers) for access to next level. Sounds give the atmosphere of the game, maybe you have a feeling of nostalgia. The archive will contain the map and sounds (mario sounds.zip) They are installed like a texture in Blocklauncher. 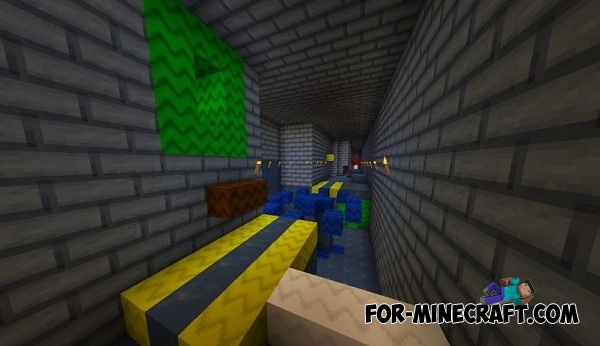 And finally, do not forget to install texture pack. 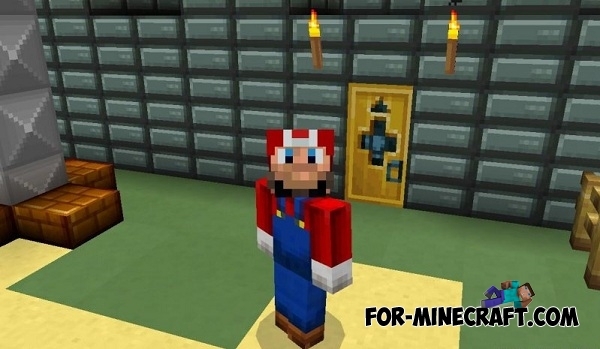 After that you can choose the skin in the style of Mario. Where is the texture pack??? ?